How to open PST file? 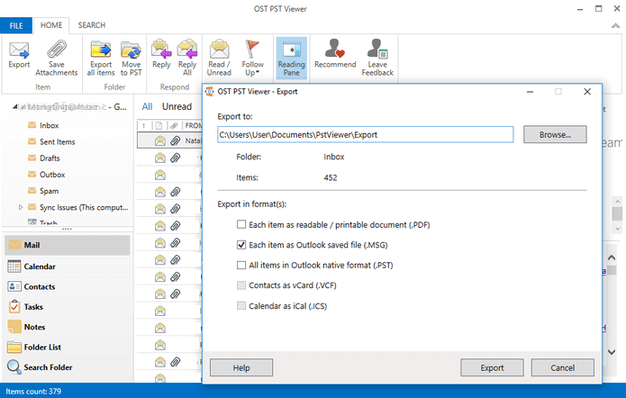 To open Outlook PST files using our OST PST Viewer is very simple – click the “open” button in the application file menu and choose which PST or OST file to open. That’s it. 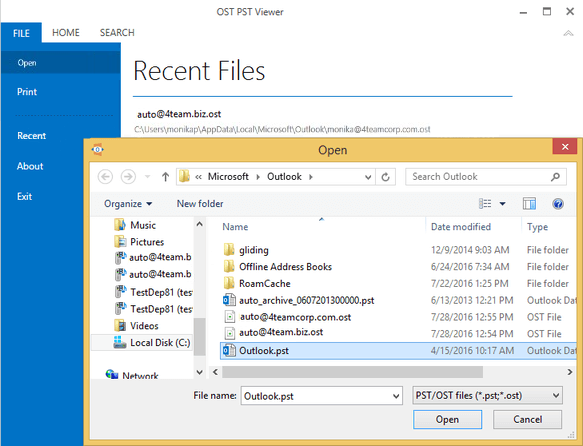 Opening multiple PST files without Microsoft Outlook has never been easier with our tool. OST PST Viewer is real time saver. 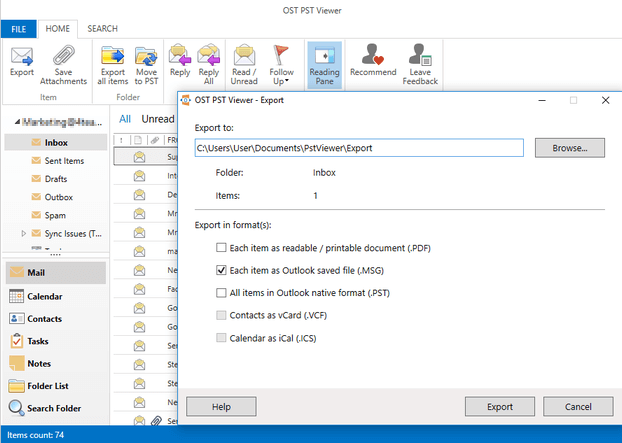 OST PST Viewer PRO is a powerful PST files management software tool, no Microsoft Outlook is required. It supports PST and OST file formats. Using OST PST Viewer after you open PST file, you can use advanced search through each folder or entire file, copy or export any information you want, render HTML, rich text, or any picture file format. Save or move the selected Outlook data folder or selected items to a new PST file. If PST files are password protected or secured, you can open them using OST PST Viewer.